Former Senior Intellectual Property Counsel & Vice President Technology Policy, General Electric Indiaand currently Adjunct Professor at Gujarat National Law University, Mr. Hitesh Barot passed away today morning after being pulled into the Narmada river by a crocodile at his native village Bhalod in Gujarat at 7:45am this morning. Hitesh Barot was a Juris Doctor with a Special Certification in Law and Technology from the University of California, Berkeley, School of Law. He was a Steering Committee Member on Data Security Council Initiative and the Chair of Policy committee of FICCI IPR division. 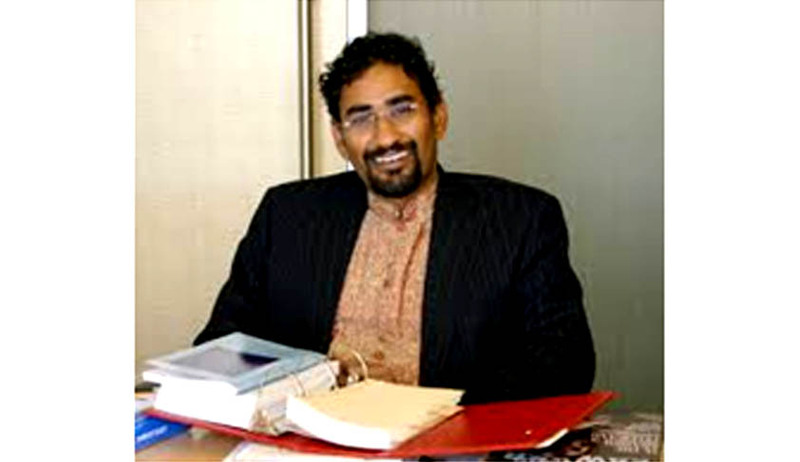 He was the elected as the President of the North American South Asian Bar Association Foundation in 2008. An awardee of the prestigious Business Partnership Award from General Electric, he also served as Attorney, Legal and Corporate Affairs in the Intel Corporation. He was also awarded the Angel Award from the California Lawyer, a legal magazine for being one of California’s outstanding pro bono lawyers. After his resignation from General Electric he was part of a Voter Registration/Awareness Campaign with former Chief Election Commissioner Dr. SY Quraishi. He had joined the Centre for Ethical Life & Leadership (CELL)to change the existing voter registration form. Hitesh’s worked on aproject tohelp Corporate India employees have a voice in the Indian elections 2014. In his capacity as Adjunct Professor in GNLU, he guided and helped organized many seminars and training sessions on the topic of Intellectual Property Rights. Assistant Professor of Law, Ms. Tania Sebastian commented: "Being associated with him over the past year it was easy to be awestruck by his determination and passion towards the task at hand. His infectious enthusiasm brought life into the project being worked on. He will be missed deeply. " Nirmal Mathew is a Student Reporter at Live Law and also a Student of Gujarat National Law University.